Get the Factory Amplifier Bypass harness to run Balanced-Differential outputs from factory premium head unit. Plug and play. Amplifiers must accept balanced differential inputs (JL, newer Kicker, newer Alpine, Rockford, etc.). Make your vehicle safer with this convenient Maestro HO1 plug-and-play wiring harness. Made to fit select Acura and Honda vehicles, this cable kit reduces setup time and makes the Maestro RR installation process easier. Upgrade your car’s collision avoidance system with the Maestro HO1 plug-and-play wiring harness’ included chime speaker. Features: Compatible with select Acura vehicles Including CSX 2006-2011 models. 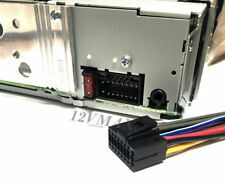 This device will allow for Auxilary input and changer into select 2003 to 2006 Honda - Acura radios. 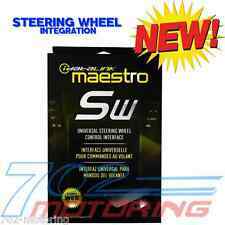 Make your vehicle safer with this convenient Maestro HO1 plug-and-play wiring harness. Bridges the connection between your existing Maestro RR module and your compatible vehicle's audio and data system, so you can enjoy a plug-and-play expereience. 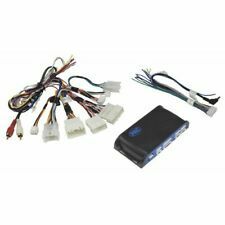 This is a OBD2B to OBD2A Jumper Harness Conversion for a Honda or Acura. Install a 1996-1998 Honda Civic or 1996-1999 Integra ECU into any 1999 to 2000 Civic or 2000 to 2001 Integra chassis. Manual ONLY. IDATALINK MAESTRO ADS-MRR INTERFACE MODULE . iDATALINK HRN-RR-HO2 FACTORY INTEGRATION ADAPTER. iDatalink Maestro ADS-MRR Interface Module. Important Note: iDatalink Maestro RR is not compatible with a Mac. Product SKU: 154013 ID: lha20. Scosche LHA20. CAN-Link Interface with SWC Retention For 2016-up Honda Civic LX Models. 2016-Up Civic (LX Sedan). 2017-Up CR-V (LX Models). 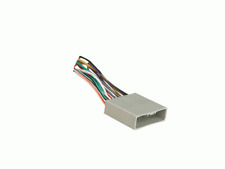 Provides 12V ACC Via Data-Bus Interface. • Honda / Acura Antenna Adapter. • All HONDA / ACURA VEHICLES 2005 AND UP. If the item you chose is more or less money we will work out the price difference with you. High quality plastic connectors always fit perfectly. Speaker Harness for 1989-Up Ford Vehicles. Allow the user to retain their factory speaker connectors while installing a new set of speakers without having to splice into factory wiring. Connects speakers to factory harness. Bypass factory amplifier. Premium sound system. Factory amplifier bypass harness. Bypass factory amplifier. For 2006 Honda Civic with premium sound system. No cutting of factory wiring needed. Add to Favorite. QUICKLY CONNECTS FACTORY WIRING TO YOUR NEW STEREO. EACH WIRE IS LABELED WITH ITS SPECIFIC FUNCTION. 2016 - 2016 FRS. 2016 - 2016 iM. 2016 - 2016 tC Toyota. Axxess AX-TOYCAM3. 2014 - 2016 4-Runner. 2015 - 2016 Avalon. 2014 - 2016 Camry. 2014 - 2016 Corolla.